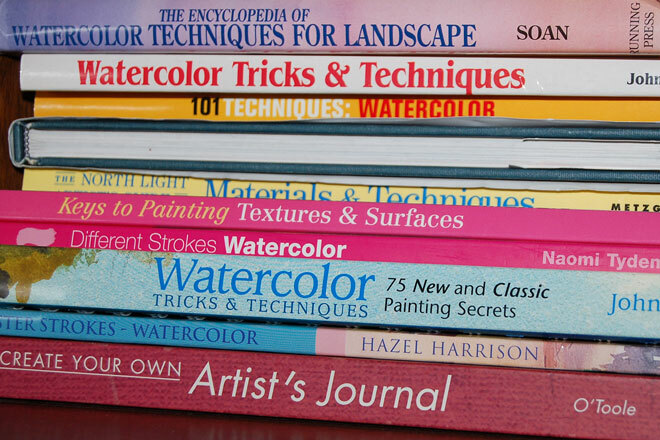 Watercolor publications include magazines, newsletters, and books. Magazines usually feature different artists in each issue. Books are available for instruction in various techniques and materials. Some books may be a biography about a certain artist. Newsletters are often published by various watercolor societies. Donna Watson is a mixed media collage artist. An award winning artist, she is a member of the American Watercolor Society and the National Watercolor Society.